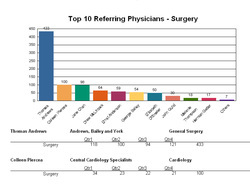 We understand the importance of building solid physician relationships. We also know that this can be hard to achieve with an unorganized approach. In collaboration with Physician Liaisons across the country, a customized central CRM database was developed to help you organize and more efficiently manage your physician relationships. Here are some screen shots of key features of the application – the main data screen, Issues tracking, Referral tracking, eMarketing and custom dashboards. All information easy to read, easy to find. If you are interested in learning more about Act! for Physician Liaisons, please us at info@egenconsulting.com We also offer Act! for Physician Recruiters and would welcome the opportunity to discuss this program with you or someone you know.